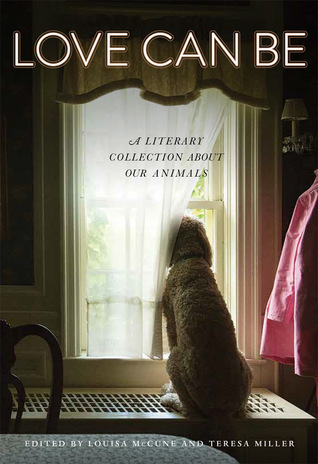 Thirty well-known authors have come together to share stories of their love of animals. You’ll find stories about beloved dogs and cats, but there are also stories about frogs, butterflies, horses, raccoons, and many more. Authors you may recognize from this collection include Joyce Carole Oates, Delia Ephron, Alexander McCall Smith, Dean Koontz, S.E. Hinton, and Jewell Parker Rhodes. Each author takes a few pages to celebrate a favorite pet, a chance encounter, or pay tribute to a beloved animal through poems or short stories. Some favorites included Reyna Grande’s tribute to monarch butterflies and her connection to their migration and her immigration to the United States. Wayne Coyne’s shared a story from his childhood of rescuing frogs and helping them across the streets. As an adult, he attempted to help a turtle across a busy highway in the same way, with a different result. P.C. Cast shares her story of being stalked by a fan and needing to get a protection dog. The story begins with her fear of being followed and tracked by this fan on a daily basis and then the experience of meeting, training, and feeling completely protected by her dog, Badger. Unfortunately, she never tells the reader what happened to the stalker. Many of these stories were personal and the authors share special moments with animals that many of us can identify with. Kim Doner’s story of a car ride with a raccoon reminded me of my aunt who has rescued and raised many raccoons (as well as many other animals) who have crossed her path needing a new mother. She is truly an animal whisperer and this book reminds me of her devotion to all animals. For all readers that have that had a beloved pet, a chance encounter with an animal, or feel strongly about supporting animal shelters, this is a book that will warm your heart and remind you of the great joy animals can bring into our lives. This collection of stories was made possible by the Kirkpatrick Foundation. The book is dedicated in memory of Joan Kirkpatrick, an Oklahoma animal advocate and daughter of the founders of the Kirkpatrick Foundation who died in 2009. Joan Kirkpatrick had a great love for all animals and felt strongly about veterinary sciences and saving rescued animals. This book is entirely a philanthropic endeavor and the proceeds will go directly towards a number of Oklahoma animal welfare organizations as well as a host of organizations chosen by each author. The Kirkpatrick Foundation is an Oklahoma-based philanthropy that aids in the areas of art, culture, education, animal well-being, environmental conservation, and historic preservation. Since its establishment in 1955, the Kirkpatrick Foundation has given away more than $70 million in philanthropic funding. In 2012, the foundation began a major initiative to make Oklahoma the safest and most humane place to be an animal by the year 2032, and they are especially committed to the areas of: community, education and research, farm and industry, public safety, shelter administration, socio-economic issues, and wildlife and conservation. As part of this Safe and Humane initiative, Kirkpatrick Foundation hosts the ANIMAL conference every three years to bring together leaders, advocators, and educators in animal well-being to discuss current issues and topics on the state of animals in Oklahoma. Last year, the Kirkpatrick Foundation gave grants to over 40 animal welfare organizations, about half of which are national or worldwide, and the majority of which receive no government or state assistance in order to operate, relying solely on individual donations and volunteers. Kirkpatrick Foundation works with Animal Grantmakers, the only funder affinity group focused solely on animal protection. Louisa McCune is Executive Director of the Kirkpatrick Foundation. McCune oversees all operations, communications, grant-making, and the foundations two programs, ArtDesk and Safe & Humane. At ArtDesk Magazine, McCune is Editor in Chief. She is a loving owner of three pets as well. Teresa Miller wrote the compelling historical novel, Remnants of Glory before a devastating eighteen-year writer’s block and depression kept her from writing. Instead, she took her passion for storytelling and pledged to advocate for other authors, becoming the executive host and producer of the television program Writing Out Loud. On the show, Miller interviews many of the nation’s leading writers and performers and previously taught writing at Oklahoma State University. She has since written another novel, Family Correspondence, as well as a memoir, Means of Transit. All proceeds from the sales of this book will benefit animal charities across the country, as the Kirkpatrick Foundation covers the cost of publishing and printing this limited edition collection. The Kirkpatrick Foundation is a leading philanthropic organization in animal well-being as well as arts and culture, and they’ve created an ambitious initiative to help make Oklahoma one of the safest places to be an animal by 2032. The authors all chose to donate their honoraria to a number of organizations, including the Humane Society and other smaller groups dedicated to helping cats, dogs, and other animals. Thanks to the publisher for sending a copy of this book for the purpose of this review. This review is my honest opinion. If you choose to purchase this book through the above links, I may receive a small commission without you having to pay a cent more for your purchase.